Fans of Minecraft can already play the game in virtual reality if they have a Samsung Gear VR headset but for that you need a compatible smartphone as well. If you have an Oculus Rift VR headset then here is some good news. Minecraft will soon be available in virtual reality on the Rift as well. This should make a lot of gamers happy. The confirmation came from Mojang employee Tommaso Checchi who revealed on Twitter that the game is going to get support for Oculus Rift next week. We know that Minecraft will go live for the Rift next week, but we don’t have a precise release date just yet. Rift support will allow PC gamers with the Windows 10 edition of Minecraft to start playing the game with the headset right away. 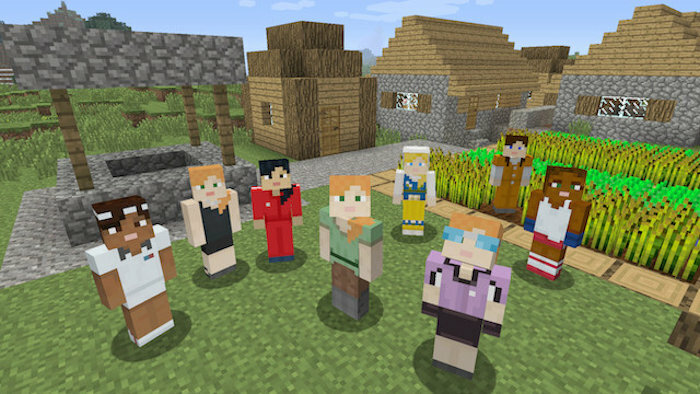 At first, the game’s original creator refused to bring the game to the headset because he was creeped out by Facebook, but he later sold Mojang to Microsoft and a few months later it was confirmed that Minecraft would eventually be available on the Rift. So as often happens plans can change. No Windows 10 edition? No worries. Mojang is allowing those who have bought other versions of Minecraft to download the one exclusive to Windows 10 for free by logging into the Mojang website and then downloading their copy from the Windows Store. It should be a great experience.